Trump issued the most recent draft of his executive order, titled “Strengthening the Cybersecurity of Federal Networks and Critical Infrastructure,” in early February. The document emphasized interagency cooperation and modernizing legacy IT. Randi Kieffer, deputy director of DHS’s National Cybersecurity and Communications Integration Center, said she still does not know what the final draft of this order will mean for her agency. Kieffer spoke at the Akamai Government Forum on March 28. One major concern she expressed was the need to establish cybersecurity awareness programs for students. Most people learn about the nature of cybersecurity practices when they join the workforce as college graduates, but Kieffer said both the Federal government and future Federal employees could benefit from cyber training programs at the K-12 level. Essye Miller said the Department of Defense is working to make its required annual cybersecurity training seminars more engaging. 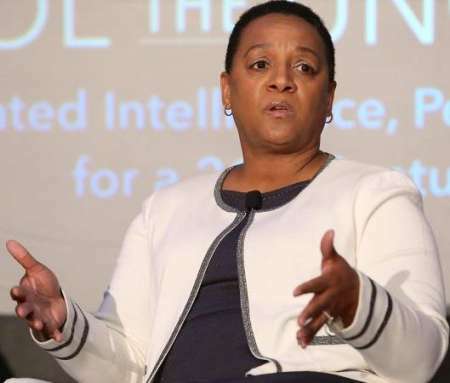 Essye Miller, deputy chief information officer for cybersecurity at the Department of Defense, said she was concerned that the employees were not paying enough attention to the agency’s required annual cybersecurity training seminars. She said DoD is working to make the programs more engaging. Kieffer stated that the training sessions would be more exciting if people were exposed to the subject matter earlier in life. In addition to finding ways to engage their existing cybersecurity workforces, both Kieffer and Miller discussed how their agencies were trying to attract young, bright people. Positions at private companies can be attractive because they usually offer more money than Federal agencies. However, Kieffer said she and her colleagues at DHS are trying to retain more talent by capitalizing on what she labeled the “millennial mentality.” She said that millennials like to move around and serve in a variety of positions, and that DHS is allowing new employees to participate in several roles to determine which ones suit them best. “We have the flexibility to scratch that itch,” Kieffer said. Miller agreed with Kieffer, emphasizing the importance of civil service. Miller said DOD benefited from an exchange program last year in which an industry worker would switch jobs for a period of time with a Federal employee. She said this exchange program led to information sharing and was as helpful for employees as it was for managers. “Let’s not forget that penchant to serve,” Miller said.